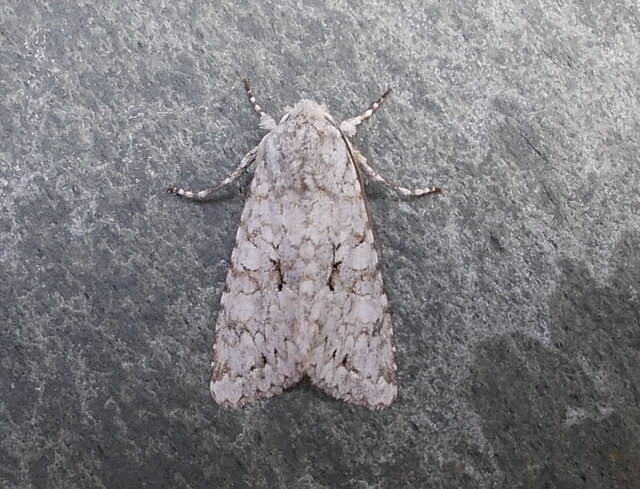 Ben Coleman was kind enough to keep a couple of Grey Chi from his garden trap at King's Heath and this evening I saw both. 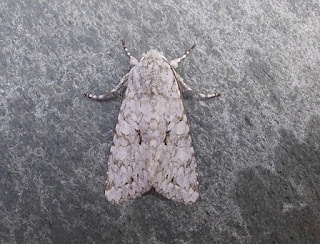 These moths are very pale silvery grey - not at all like the greener more banded forms I saw at Tynemouth (Northumberland) a few years ago. The well vegetated, mature suburban gardens on the south side of Birmingham obviously have some magic element that the rest of Worcestershire no longer does. Elsewhere records have seemingly dried up from the Malverns and the odd sites in the northwest. There must be some doubt as to those reported in a Droitwich garden in June 2001. Perhaps they still survive on The Lickey Hills where altitude and habitat is presumably still suitable. 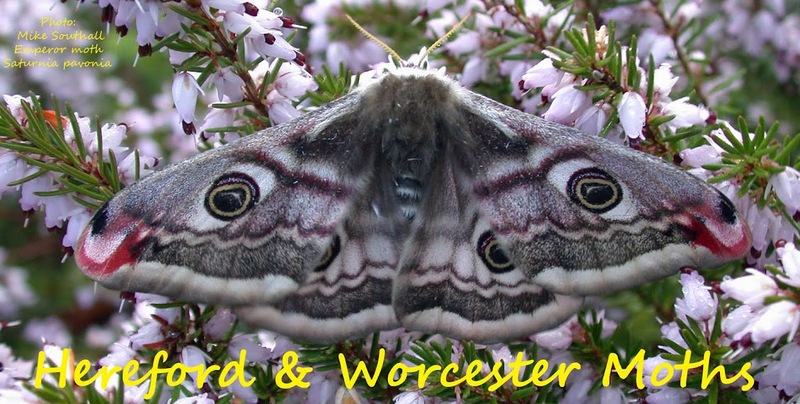 Anyway for now it seems that the gardens of south Brum are the only good reservoir population of this species in the Vice County. A Eudonia angustea was potted in Ben's front garden just before I left!